White Denim is a garage-punk-jam act based out of Austin, TX renown for their manic energy, wide-ranging stylistic attack, and killer chops. This is their fourth full length release, and second since adding second guitarist Austin Jenkins. 01/23/2012 Impressions Three Listens In: With D, White Denim appear to be on a near identical artistic trajectory as Portland's Blitzen Trapper, whom also started their careers embracing a madly unpredictable eclecticism, but have gradually evolved into a straight-up country-rock act with a classic, Poco-ish late 60s/early 70s feel. Here, White Denim seems to be aiming for a slightly different sound...the more jammy flavor of late 60s psychedelic, CA-based country rockers like The Grateful Dead, Moby Grape, and The Buffalo Springfield, with maybe a dash of Jethro Tull thrown in for good measure...but otherwise the comparison with Blitzen Trapper holds. D is White Denim's most conventional album yet. It is also easily their best, with a cleaned up though hardly glossed-over sound, and an energy level, that though toned-down, is still quite high when compared to most bands. The short yet often multi-parted songs aren't consistently great, but most do contain a great moment or two...a surprise instrumental turn, an awesome chorus, a knockout solo... leading to a very appealing overall feel greater than the sum of the album's parts. And when the band does sustain a top level idea for the duration of a track, as on the instrumental At The Farm, the woozy, summer-of-lovish Drug, or the kicking Bess St., the results are excellent. So if you like your music terse, jammy, and fun, with an easy, slightly Southern-fried feel, I would definitely give D a listen. Feeling at worst a mid-to-low solid recommend on this after three listens. Will use remaining listens to lock in on final ratings for the songs. Cherry Picker's Best Bets after three listens: At The Farm, Drug, Bess St., Keys. Here's the official video for one of the album's mellowest tracks, Street Joy. 5. Anvil Everything - ? 9. Is And Is And Is - ? 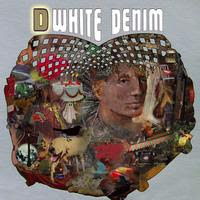 What are your thoughts on White Denim's D? For the uninitiated, The Mountain Goats are primarily the recording vehicle of one John Darnielle, one of the most prolific and consistent singer-songwriter's indie has produced over the last twenty years, which is about how long he has been at it. A tremendously gifted lyricist, the words are always front and center with his material, and though the quality of Darnielle's nasally, Mr. Peepers voice leaves something to be desired, his vocal delivery is as good as it gets. 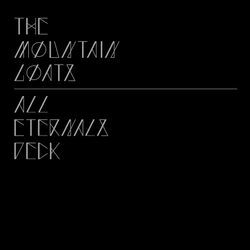 All Eternals Deck is the fourteenth Mountian Goats release since 1995, and Darnielle's first on Superchunk label Merge. 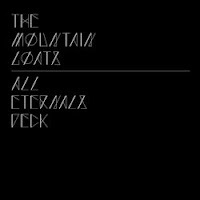 01/19/2012 First Listen Impressions: Just another instantly listenable, likable collection of immaculately arranged Mountain Goat songs, with a near identical overall feel, flow and tone to '08s Heretic Pride, though I sense I may end up liking this record a little better. Die hard fans should be more than please, but newcomers to the Mountain Goats...given how samey the band sounds album to album...are strongly urged to start with Darnielle's greatest work, the small-scaled but at times overwhelmingly powerful The Sunset Tree, possibly the finest and most devastating singer-songwriter release of the last decade. I'll start addressing individual tracks after my second listen...but For Charles Bronson was the clear standout to me this first go round. Cherry Pickers Best Bets after one listen: Damn These Vampires, Age Of Kings, For Charles Bronson, Never Quite Free. Here's the official video for the album's hardest rocking track, Estate Sale Sign. 5. The Autopsy Garland - ? 6. Beautiful Gas Mask - ? 8. Prowl Great Cain - ? 9. Sourdoire Valley Song - ? 10. Outer Scorpion Squadron - ? 13. Liza Minnelli Forever - ? What are your thoughts on The Mountain Goats All Eternals Deck? One of the most praised electronic records of 2011, clocking in at #30 on www.acclaimedmusic.net 's year-end aggregate list, the self-released Space Is Only Noise is Chilean-American dance producer Jaar's full length debut. 01/18/2012 - Second Listen Impressions: I have to admit I didn't get much from this record on first pass, the songs are slow and I had my kids with me in the car, but my second listen going into work this morning was quite a revelation. Consistently stripped down, leisurely, and always evoking a solitary, well after midnight feel (If you're scoring a movie, and you need a song for the scene where the lonely bar keep closes up shop on his own...just about any track on this record will do. ), this is one of the most engaging and dynamic electronica albums I've heard in some while. A big part of the reason is Jaar's willingness to shake free of electronica's limited palate. Unlike most electronic releases, glitches, samples, and synths are only part of the equation here. Much of the material also incorporates more traditional instrumentation (drums, piano, guitar), lending the record a far broader range of textures and moods. That, and a ton of odd, sometimes playfully goofy, vocal samples. I hear snippets of Matthew Dear, avant-garde-ers Matmos, and on the title track, LCD Soundsystem...but the artist I'm most reminded of is career-prime Moby. As on Moby's best work, Space Is Only Noise plays as a wide ranging collage of textures and musical thought experiments, each accompanied by a distinctly different vocal presence. It's going to take me the full six listens to nail down how I feel on the individual tracks, but my guess is Space Is Only Noise will place quite high in my final year-end rankings, when and if I ever do wrap them up. Cherry Pickers Best Bets after two listens: Problem With The Sun, Almost Fell, Balance Her In Between Your Eyes, Specters Of The Future. Here's a cool profile video that contains live snippets of several of the album's songs. 4. Too Many Kids Finding Rain In The Dust - ? 5. Keep Me There - ? 6. I Got A - ? 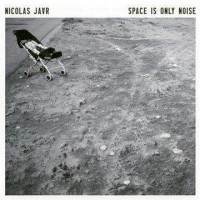 What are your thoughts on Nicolas Jaar's Space Is Only Noise? As with Iceage's New Brigade yesterday, we continue this year with a new progressive approach to album reviews, offering up thoughts and impressions immediately after each of six listens rather than waiting to absorb the album in full. 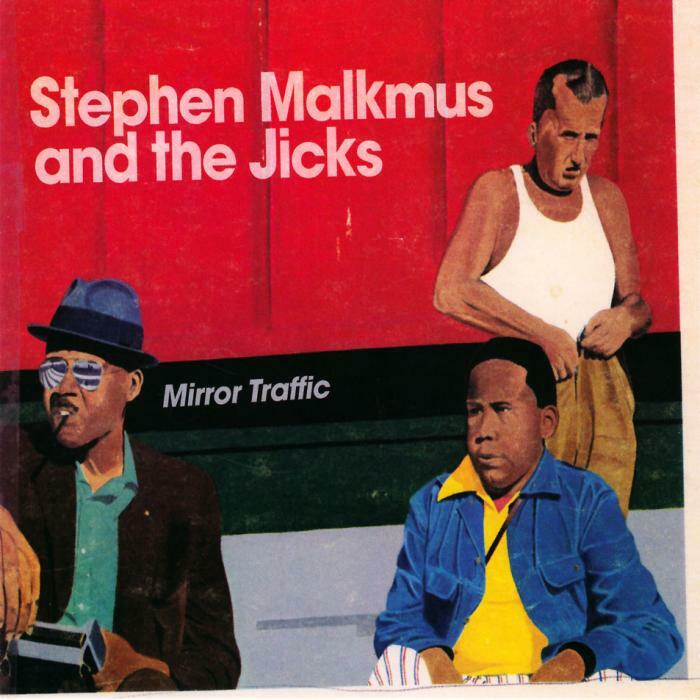 The Beck-produced Mirror Traffic is ex-Pavement leader Stephen Malkmus's third release with the Jicks, and the group's first since 2008's Real Emotional Trash. 01/17/2012 First Listen Impressions: From the get go, though quick moments of guitar theatrics abound, it's clear the ramshackle Mirror Traffic is going to be a much lighter, breezier, and eclectic affair than Real Emotional Trash's head first dive into heavy, heavy psychedelia...focusing instead on Malkmus's songwriting chops, stylistic range, structural brazenness, and snarky slacker humor. And for the most part, I'm liking the change. About a third of the tracks already feel like guaranteed winners, and though in no way glossy, Beck's super clean production is the epitome of radio friendly, giving the whole album an easy, instant accessibility. While the overall instrumentation doesn't change much from track to track, the feel and structures of each song varies widely, making for a fairly dynamic first listen. Not all of the tracks won me over, a couple of the slower tracks didn't click at all the first time through, and the album's overall loose approach leads to some flat moments, but given that the album already appears to boast five or six top flight tracks, I can't imagine giving Mirror Traffic anything lower than a mid-tier Solid Recommend once it's worked through my listening rotation. Projected Status after one listen: Solid Recommend. Cherry Picker's Best Bets after one listen: No One Is (As I Are Be), Senator, Stick Figures In Love, Tune Grief. Here's the official video for No One Is (As I Are Be), which gives a good sense of the album's loose, agreeable sound. 1. Tigers - 7 or 8. 6. Asking Price - ? 9. Long Hard Book - ? 10. Share The Red - ? 12. Forever 28 - ? 13. All Over Gently - ? 14. Fall Away - ? What are your thoughts on Stephen Malkmus & The Jicks's Mirror Traffic? Hailing from Denmark, Iceage is a very young punk band that burst upon the music scene in 2011 with this jagged, adrenalized shard of a debut. 01/16/2012 First Impressions: Clocking in at just over twenty-five minutes, the hard-charging, low-fi, muddy feel of the record suggests a kinship with California no-fi acts such as No Age and Abe Vigoda, but the raw, herky-jerky rhythms and blue collar, slightly guttural, melodic vocals reference a more British punk tradition, recalling the feel of acts as wide-ranging as The Clash, Wire, Gang Of Four, These New Puritans, and The Futureheads. I'm digging the overall energy and initial standout tracks White Rune, Collapse, and You're Blessed, but as with most music this assaulting, the remainder of the material is difficult to make much sense of after just one pass. Anticipated recommend status at this stage...a high mild, but first listens are often misleading, and I sense this album has a chance to rise significantly by the sixth and final listen. Projected Status After One Listen: Mild Recommend. Cherry Picker's Best Bets After One Listen: White Rune, Broken Bone, Collapse, You're Blessed. Here's a montage of tour moments set to the album version of You're Blessed. 3. New Brigade - ? 5. Rotting Heights - ? 6. Total Drench - ? 10. Count Me In - ? 11. Never Return - ? What are your thoughts on Iceage's New Brigade? My apologies for the two week long stretch of inactivity on this blog. As is customary, posts drop off at the start of the new year as I scramble to finish compiling McQ's annual mix collection, which I should have up soon. After that, reviews, and an extended preview of the 2012 Coachella festival, will resume. 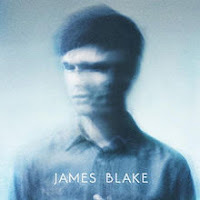 One of the most forward-looking releases of 2011, baby-faced UK producer James Blake's debut recombines elements of electronica, dubstep, R&B, and autotuned vocals into an altogether new, minimalist, ice-cold stew that has quickly emerged as a signature touchstone of the burgeoning experimental soul movement. But regardless of how "of the moment" this record is, or as influential and important as its skeletal compositions will likely one day be perceived, I cannot say I am the biggest of fans. Is it original? No question! Is it inventive? Without doubt! Do I enjoy it or even respect it as a whole? Not so much. My primary gripe is despite how unique much of this record sounds, I'm not sure all of its material is that consistently or aggressively thought through. It's as if midway through completing this record and his best songs, Blake realized that because his airy, negative space concoctions sound so strikingly different, he didn't need to bring his remaining musical ideas to fruition, any randomly weirded-up noodling would do, and that was the path he took to close out the album in full. The tracks that do feel like they've been fully worked over...the widely praise The Wilhelm Scream, the two part Lindisfarne sequence, the Feist cover Limit To Your Love, and the album's most experimental track To Care (Like You)...are undeniably fascinating, if sometimes too odd and cold to be emotionally engaging, but I found much of the rest of the material, particularly the brutal three song sequence that closes the album, to be downright squirm inducing. So just a mild recommend from me on James Blake. Those who like to keep current with the front lines of forward-looking pop should definitely give it a try... and everyone should check out The Wilhelm Scream...but if you're looking for a genuinely satisfying full-length listen, even if your tastes verge toward the arty, I'd consider giving James Blake a pass. Cherry Picker's Best Bets: The Wilhelm Scream, Lindisfarne II, Limit To Your Love, To Care (Like You). Here's the official video for The Wilhelm Scream.